Going through a divorce may be stressful and painful for children who are often caught in the middle, whether because of negative remarks one parent makes about the other parent or hearing their parents argue on the phone for hours. Children sometimes feel they have to choose sides or spy on the other parent. Keeping the children’s well being in mind during a divorce is important. In the collaborative divorce process you may utilize a child specialist who can play an important role in providing a voice for your children who are often overlooked. 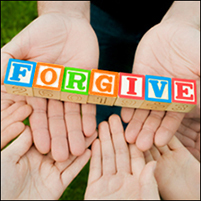 The child specialist can meet with the children to assess their needs with regard to the divorce process. He or she can also brainstorm ideas with the children to make living easier for them. After meeting with the child, the child specialist will provide the parents with feedback on how to help the child get through the separation and divorce in a healthy way. With the parents and their attorneys, the child specialist will help in composing a Co-Parenting Plan, which lists the responsibilities of each parent to avoid confusion of roles. The plan covers the co-parenting schedule, how decisions will be made regarding the medical and educational needs of the children, and methods of future problem-solving that will help keep the co­-parents out of court. It is very important for both parents to support and encourage a healthy relationship between the child and the other parent. This goal is accomplished by encouraging children to keep in contact with the off-duty parent as much as possible. The on-duty parent should avoid speaking badly about the other parent in front of the child because the child will pick up on the behavior and attitude and it may affect their relationship with the other parent. If a child complains to one parent about the other parent or household, it is important to encourage the child to discuss it with the other parent. Effective co-­parenting may be enhanced by professionals who assist parents through the collaborative process. Your attorney will assist you in being heard and achieving the goals that are important to you. At Separating Together, the professionals provide a process that helps you through an overwhelming and stressful time while putting the children and their needs first.